Outside of majestic Moab, Deseret Rock Music Festival brings the desert to life. On Memorial Day weekend, driving south past Moab over bumpy dirt roads, concertgoers pull into the Desert Rocks Music Festival, pointed by a humble little red plywood sign with blue lettering. Amid sagebrush and a slot canyon on the 320-acre San Juan County site, these fans bring an energy that starkly contrasts with the empty, harsh climate, like the verdant shrubbery juxtaposed with the red rock. They travel here for the local and national bands, the community and the outdoor attractions. And at night, the atmosphere becomes even more vibrant, with music, fire dancers and, over the main stage, white LED lights that spell out “DESERT ROCKS” like a constellation in the star-laden southern Utah sky. In 2005, co-founders Luke Benson and John Corkery launched the festival, charging $15 for two nights of camping; 150 people watched eight bands playing on flatbed-trailer stages. Attendance has crept up steadily to 800 in 2009, and volunteer crews now build professional-grade stages two weeks in advance. “Now, if attendance hits our goal for 2010, which it most likely will, we know we have something here ... something real,” Corkery says. The little festival that could has certainly been real for Utah-based bands. “We started the festival to support local bands, to help get them big, out to a larger audience. It worked,” Corkery says. Case in point: local jam-band Wisebird, who now tours and is distributed nationwide. “It’s because of their music, but we think we helped them out along the way,” Corkery says. This year, Wisebird and local staples Stonefed, Equaleyes, Afro Omega, Parlor Hawk, Marinade, Puddle Mountain Ramblers, Scenic Byway and CWMA winner Spell Talk (formerly The Naked Eyes), among others, will perform. While the music connects with the audience, the audience also connects with, well, themselves, creating a recognizable community vibe. The festival attracts a collection of good-hearted music and outdoor enthusiasts who care about each other. “I don’t think you find this at any other festival,” Corkery says, “and it’s our music that draws them.” Battling the elements—for, at minimum, a couple hours each year—certainly pulls people together. In 2009, a flash-flooding river ran through camp, yet people laughed while helping each other man the barricades, good time uninterrupted. By day, these outdoorsy types lick their chops at the prospect of playing in Moab’s two national parks and surrounding wilderness. The opportunity for adventure is boundless. And this year, partnered with Plateau Restoration, Desert Rocks presents the Green Excursions Program, offering guided and interpretive rafting trips down the Colorado River, hiking in Arches National Park and mountain biking the world-famous Slickrock Trail. Corkery says many musicians will take these jaunts, so it’s a good opportunity to meet and greet. Yet, all the physically challenging outdoors indulgences don’t stop people from dancing the night away—music goes as late (or early) as 6 a.m. While dance steps leave footprints, the festival, as a whole, hopes to leave none behind, environmentally speaking. They’re ramping up their green initiatives this year, striving for zero-waste and 100 percent renewable energy for power—solar and biodiesel. Additionally, they’re taking steps to neutralize carbon with offsets. Even with all these bonuses, there’s more: Folks get stoked on the Desert Rocks headliners like JGB, featuring Melvin Seals, Chali 2na, The Mother Hips, The Motet & Friends, Emmit-Nershi Band and Groundation. Groundation’s polyrhythmic reggae-soul soup will feed starving fans ready to reach new musical heights. Their tour, initially ending mid-May in Hawaii, was extended when trombone player and Park City resident Kelsey Howard advocated for one of his favorite fests. Despite being sometimes chaotic for bands—with rushed sound checks and logistical hustle-and-bustle—Groundation frontman Harrison Stafford loves festivals. “It brings all these people, all walks of life, together to celebrate what’s most basic and innate. Festivals unite all religions, all people; it’s thousands of people with nothing but smiles on their faces and joy in their hearts,” Stafford says. Who’d have thought this little festival would grow up to land performers like Dave Alvin and Eilen Jewell? It could eventually get too big for its britches, but until then it’s a must-see, especially at only an hour’s drive from Salt Lake City. For FrontRunner patrons, there will be free festival shuttle service on Friday and Saturday. From the heated musical intensity of jam bands to the soul of folksy singer-songwriters, Cedar City’s ninth Groovefest’s music celebrates red, white and the blues. It beckons small acts rich in character, and welcomes audiences to embrace the art of songcraft. Here, patrons can get interactive or just be entertained. The Song School Workshop takes place all weekend, and the Utah State Instrument Contest will crown the best of the best. All performances—more than a half-dozen folk and bluegrass acts—are free. At 8,000 feet above sea level, at midsummer in shadow of the the Grand Tetons, Targhee Fest’s location can’t be beat—even the artists feel like they’re on vacation. Grace Potter, Los Lobos, Moe. and Michael Franti lead a killer line-up. Camping is an excellent option, as well. Typically only held on Saturday, Sawtooth’s throwing a Friday-night shindig with Head for the Hills and Free People to celebrate its fifth year. 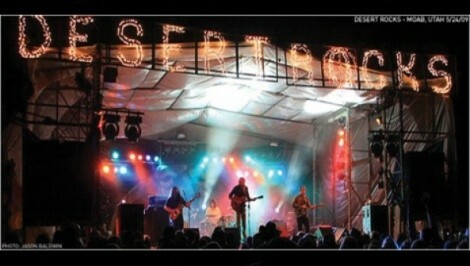 Saturday’s highlight is Austin-based Band of Heathens playing scrumptious rock & roll, perfect for a hot summer night. There are music festivals, then there are music festivals. The 37-year track record alone is impressive, on top of the scenic box canyon setting. Then there’s one of the best Western festival lineups around, including Tim O’Brien Band, Alison Krauss & Union Station, Josh Ritter, Leftover Salmon and Lyle Lovett—that’s just the first two days! What a way to spend the summer solstice. Music and adrenalin junkies converge for this festival centered on the abundant single-track (427 continuous miles) in Idaho’s biking hotspot. When the riding tests physical endurance, chill out with Saturday’s music, including headliners Sambada and Pimps of Joytime. In its 23rd year, this festival carries the intimate charm of the Telluride Bluegrass Festival’s early days, yet boasts an impressive line-up of Bela Fleck, Sam Bush Band, Punch Brothers and more. There’s no frettin’ here, except for some fierce guitar pickin’. It’s pricey, but you get what you pay for. Flares like Atmosphere, Nas & Damian Marley, Ozomatli and Cypress Hill will perform with mainstream acts like Dave Matthews Band, Weezer, My Morning Jacket, Jack Johnson and Steve Miller Band. If the “festival scene” is overwhelming, Denver is a quick respite. Nestled in the Front Range just west of Boulder, Nederland is a place all its own. Homegrown brews—among other things—and music make it magical. Locals Elephant Revival will join Steve Kimock, Crazy Engine, Cornmeal and Hot Buttered Rum, among others. Don’t forget to check out the brewfest.